The FDA was created in 1906 to protect us from prescription drugs. So why ban old-time remedies that made you feel better and then approve drugs that can KILL you? We hope this tongue-in-cheek look at the past does more than amuse you. 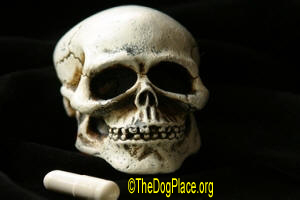 Learn why prescription drugs are the 4th leading cause of human deaths, extrapolate that to your pets, and see "Drugs" section provided in the footer. In 1925, the U.S. Government recognized the conflict between imported coca, opium, and hemp and the legal, taxable production of such drugs. The War On Drugs was officially declared in the late 60s but drug use in America has a long history of acceptance. Today we think of Bayer aspirin but Bayer's Heroin was once a household word. Through in the late 1800s, it was sold as a "non-addictive" substitute for morphine. It was however, more than twice as potent as morphine. Doctors dispensed it to treat children with strong cough. The money and lives wasted by such drugs as Laudanum is incalculable but in modern times, we've advanced to valium, Prozac, and Ritalin. 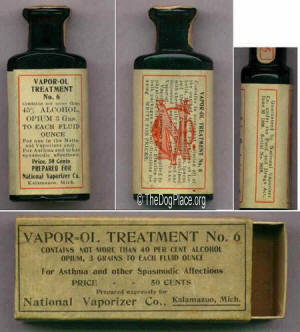 Laudanum (tincture of opium) was a mixture of alcohol, herbs, and powdered opium alkaloids which made it an extremely powerful narcotic due to the high morphine content. A potent pain reliever for suffering soldiers, it became the Victorian era drug of choice, favored by poets and writers such as Elizabeth Barrett Browning and Charles Dickens. Coca wines were very popular and quite acceptable. This one features the Pope! 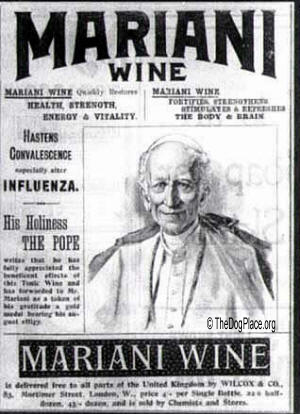 One called Mariani was the most famous because Pope Leo XIII carried a bottle on his person. In fact, he was so enamored (addicted) that he awarded the producer with a Vatican gold medal. Metcalf's Coca Wine was produced in New York. It was more straight-forward, said to "make you happy" but would also work as a medicinal treatment. The company suggested adults consume a full glass with or after every meal but children should take only half a glass. But what it there was something "refreshing" that anyone could drink anytime? When prohibition passed in Fulton County GA in 1886, a local pharmacist concocted a beverage he called Coca-Cola and introduced as a patent medicine. 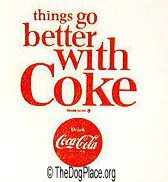 The amount of cocaine Coke contained is buried in company archives but soda fountains were actually called "hop joints" and Coke delivery drugs were called "dope trucks" until cocaine was removed in 1904. Coke syrup was still available to "sooth the stomach" through the 60s. Addictive drugs were so commonplace in Europe and the Americas, one wonders how civilization survived! We should be glad that the U.S. was founded and fought for by "backwards" woodsmen and cowboys who had no time, cash, or inclination for drugs. But children were a susceptible market and mothers of fretful kids also found solace in drugs such as Paregoric, a potent mixture of Opium and alcohol. Paragoric was still recommended and freely available in the 60s! 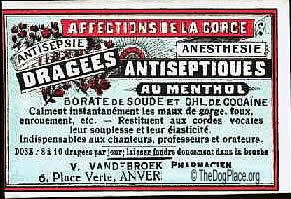 Cocaine tablets became very popular in the 1900s. All stage actors, singers teachers and preachers had to have them for a maximum performance. Great to "smooth" the voice. Our resident biochemist Fred Lanting says "When I was a boy soprano with voice changing to tenor/baritone, choir members introduced me to their "habitual" Parke-Davis throat discs, which contained a small amount of chloroform - nowadays suspected by some to be carcinogenic!" It is interesting that the countries which grow most of the world's drugs don't use them recreationally but Europe was one of the largest importers. This paper weight from Mannheim, Germany was a great marketing tool for the company that proud of being world's biggest producers of products containing Quinine and Cocaine. Opium drops for asthma were very popular, even for people who didn't have the lung problem. See Vapor-OL Treatment No. 6. Actually, some of those opiates might be less problematic than the steroids that are prescribed today! Most inhaled steroid are very expensive and over time, devastating to the bones and immune system. Cocaine drops for toothache? Why not? They were very popular for children in the 1800s. 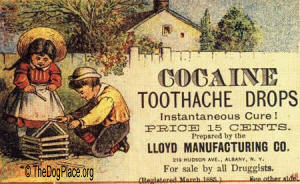 Laced with cocaine, the toothache drops relieved the pain - and made the children happy! What do we give kids today? 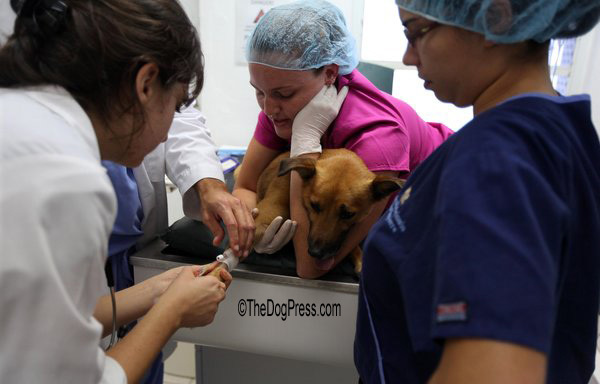 Prescribing Death: veterinary drugs deadlier than disease. Our article was so powerful it inspired someone to make a VIDEO by the same name! You know the past, now learn about today's drugs. We asked Patricia Jordan, DVM (Science & Advisory Board) for comment and she graciously responded: "They (medical researchers) have known since 1970's that many substances, like carcinogens in tobacco, DDT, and UV radiation are cancer promoters. Yet vaccines and drugs are released without knowledge of safety or gene impact. March 2010 the (National Institutes Of Health (NIH) said it is finally going to start throwing a few pennies into researching the gene impact of vaccines! Then in late 2010, the EPA announced a novel idea - that they are going to START to test the chemicals they approve before releasing them into the environment! "So, essentially our government regulators admit they have been ignoring or releasing dangerous things into the environment or into the masses such as with vaccines. Politicians went back on campaign promises to clean up the mercury and coal burning plants. So we must hold the government agencies like the CDC, FDA, USDA, EPA directly accountable for allowing unsafe drugs, vaccines, foods and chemicals into the environment. Protect yourself and your pets! 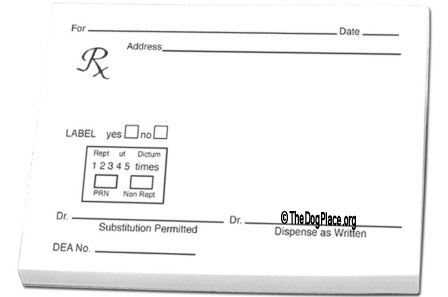 Go To the net's most candid information on VetMeds & Prescription Inserts and learn why FDA Approved prescription drugs are the 5th leading cause of human deaths and why allergic or adverse drug reactions are so much more deadly in dogs! A grain of salt - heap of truth go along way when it comes to prescriptions. Medical errors are the 3rd highest cause of death in America!